Recently, Drs. 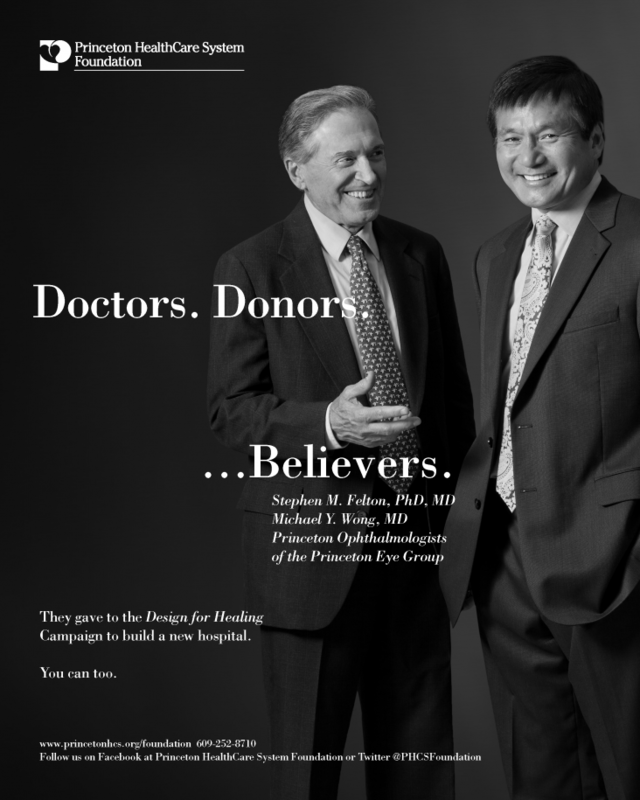 Stephen Felton and Michael Wong were recognized for their support of the Design for Healing Campaign to support the new University Medical Cener of Princeton at Plainsboro (UMCPP), the new state-of-the-art hospital that will serve the Princeton area. To show your support, please visit www.princetonhcs.org/foundation. On the Blackfeet Indian Reservation in Montana more than half the population relies completely on the grossly under funded Indian Health Service for health care. Serious health problems such as diabetes, TB, alcoholism and drug dependence are much more prevalent there than in the general population. Computer Vision Syndrome (CVS), characterized by headaches, difficulty focusing, tired, burning aching eyes and blurred vision, affects millions of computer users. This eyestrain, if left uncorrected, can lead to increased myopia. It is estimated that 70-75% of computer users would benefit from computer eyeglasses. By wearing computer glasses that are prescribed for the working distance from your screen, which contain a computer tint and anti-reflective coating, you can greatly reduce the chance of increasing any existing myopia and increase your comfort level at the computer. Talk to our opticians in The Optical Shoppe about these special lenses and begin protecting your eyes against the strain associated with computer use. We know the decision to have LASIK surgery is a big one, so we take great care to determine what’s best for you as our patient. That’s why we offer blade-free LASIK treatment using the IntraLase method. With the IntraLase method, pulses of laser light create your corneal flap, which is then lifted so the next step of LASIK — the reshaping of your cornea — can be performed. When your LASIK treatment is over, the flap is securely repositioned into place. This bladeless, computer-guided technology is 100% more accurate than most of the mechanical microkeratomes (hand-held devices with a thin metal blade) that surgeons may also use to create a corneal flap.